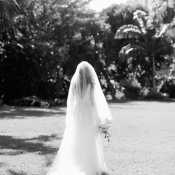 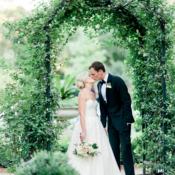 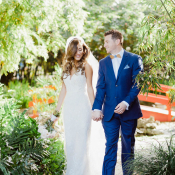 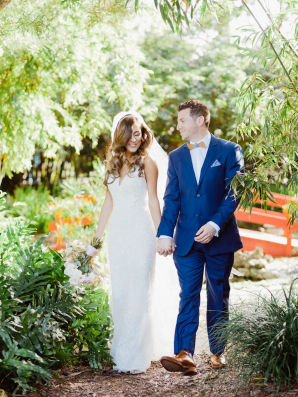 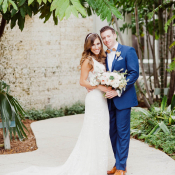 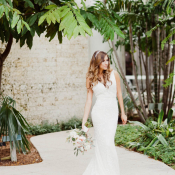 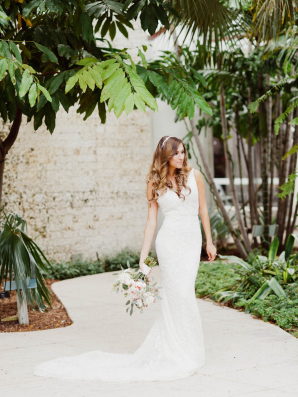 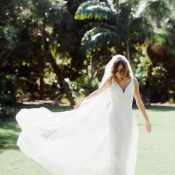 Jared and Lauren’s wedding was a self-described “giant garden party” at the stunning Miami Beach Botanical Garden. 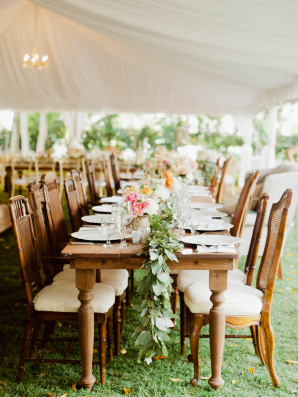 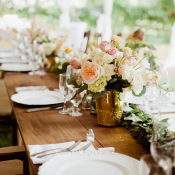 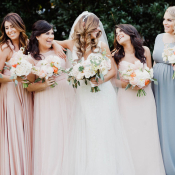 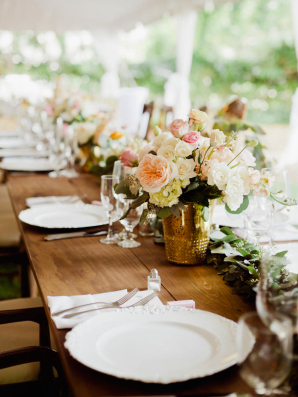 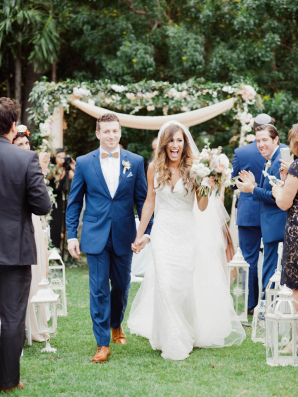 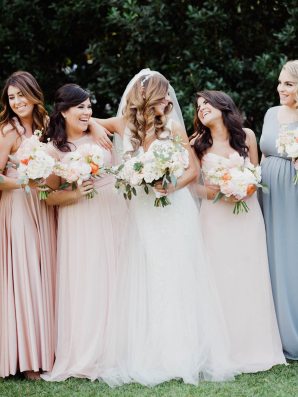 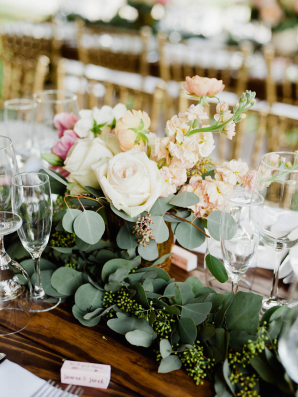 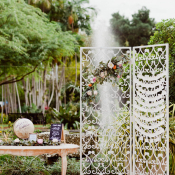 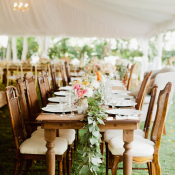 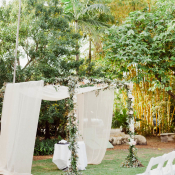 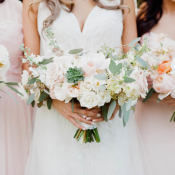 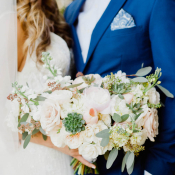 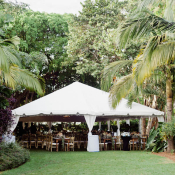 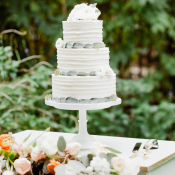 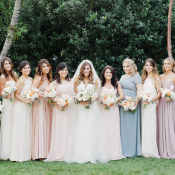 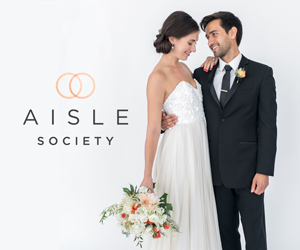 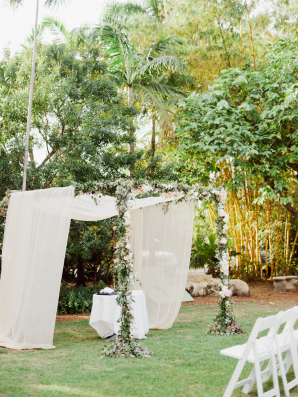 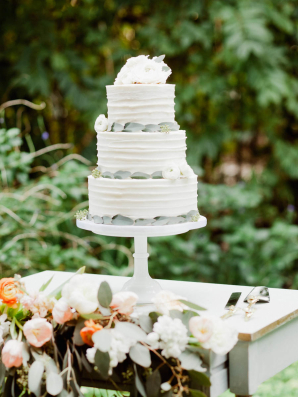 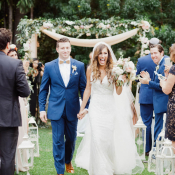 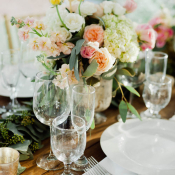 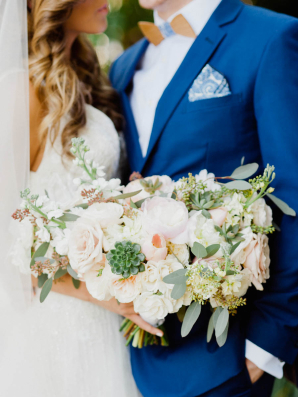 Though the Florida weather can be temperamental, the couple was greeted with gorgeous, sunny skies for their outdoor soiree. 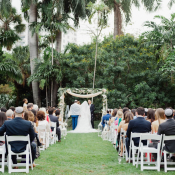 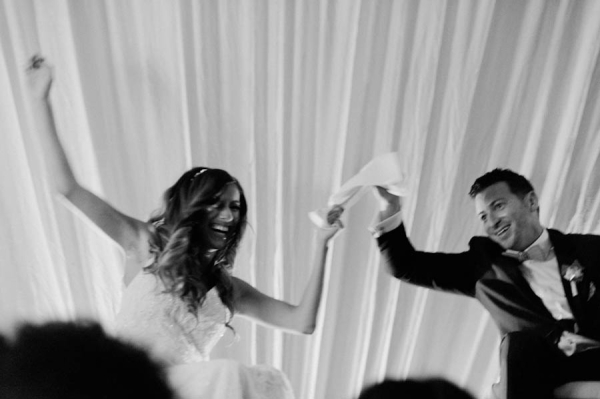 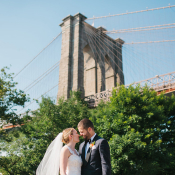 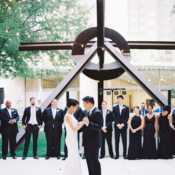 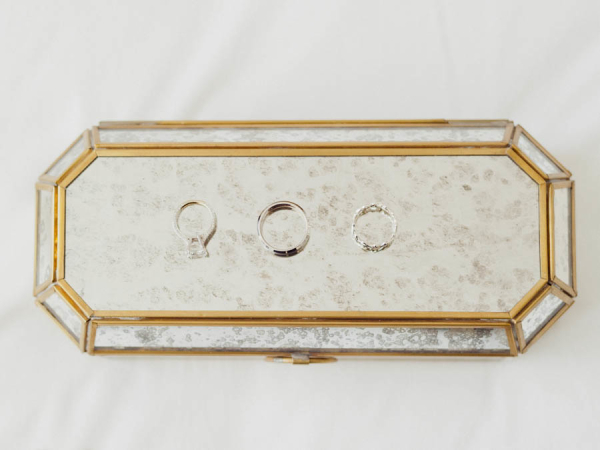 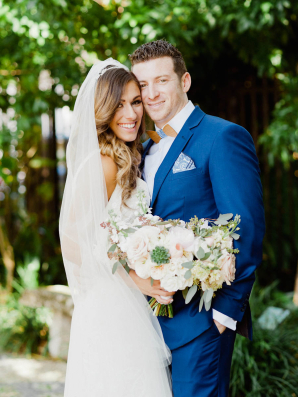 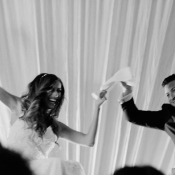 Jared is Jewish and Lauren Latin Catholic, so their ceremony—officiated by Lauren’s Godparents—was entirely customized to include traditions from both. 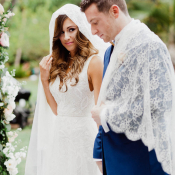 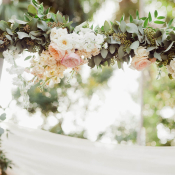 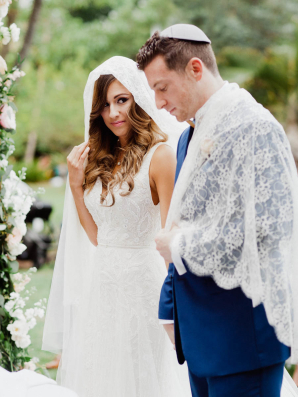 The couple said their vows beneath a beautiful chuppah from Ever After Floral Design, played Ave Maria during the mantilla ritual, and broke the glass before their first kiss. 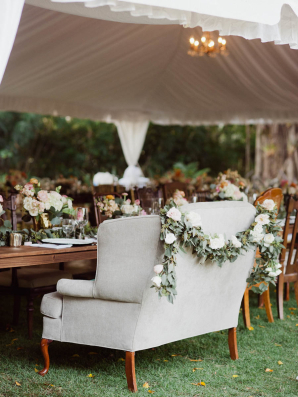 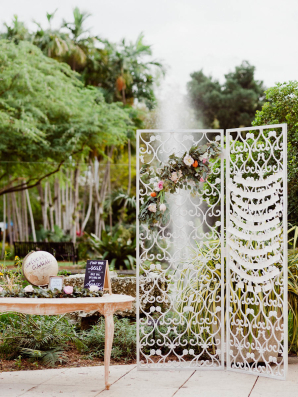 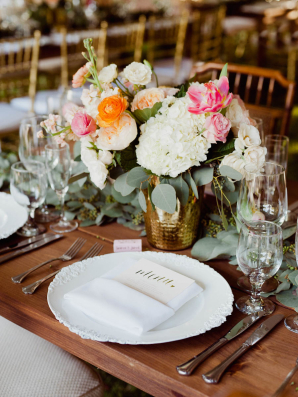 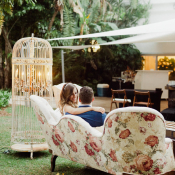 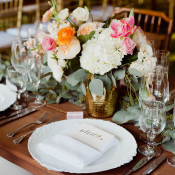 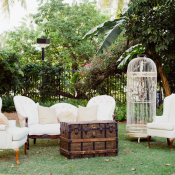 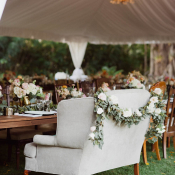 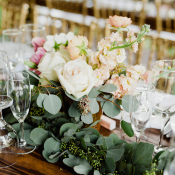 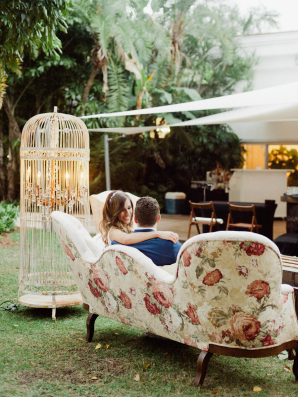 The whimsical reception featured an eclectic seating area with settees and chairs from The Salvage Snob, a honey cake with rosewater buttercream frosting from Bake Bar, and a bourbon bar and cigar roller, a must-have in Cuban culture. 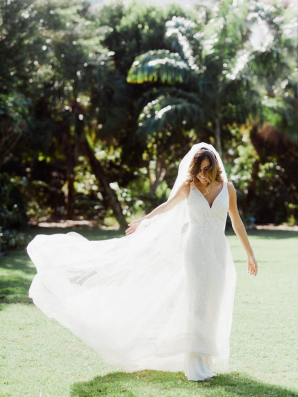 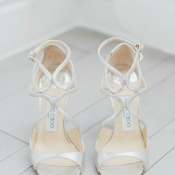 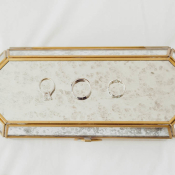 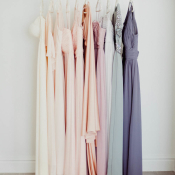 Every moment is magical in the images from Merari Photography!